Among the ways of eliminating health inequalities within communities is through carrying out advocacy to enable promotion of access to better health care services. Advocacy as put, the act of taking a position on an issue, and initiating actions in a deliberate attempt to influence policy choices may involve developing partnerships and creating structures geared towards promoting quality services delivery. On the other hand, community health advocacy involves taking action by the community itself with an aim of improving service delivery in health. This may involve creating programs, developing collaborations and partnerships and or, creating structures that can help to back up the process. Such structures can help to enhance community engagement ongoing projects and to increase community awareness of the issues being addressed. In a bid to enhance community level advocacy, CEHURD with support AKIBA-UHAKI engaged community leaders and members in selecting a team of 15 Community advocates for health and human rights from three sub-counties in Buikwe district. The training was carried out with guidance from the protocol adapted from the Human rights and Gender mainstreaming for health professional manual which was developed and pretested in collaboration with Ministry of Health and WHO in 2013. 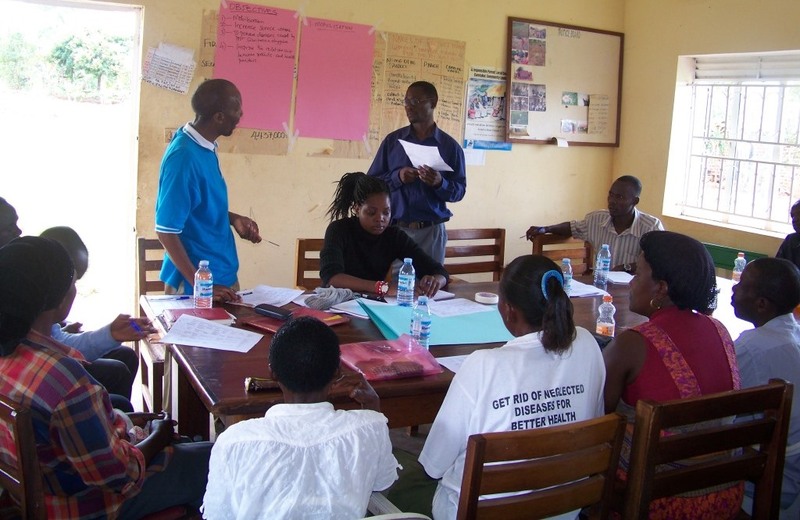 Much as there are health structures at community level including the Health Unit Management Committees (HUMCs) and Village Health Teams (VHTs), Community advocates for health and human rights act as a monitoring tool and enhance accountability which is a key aspect of advocacy. This community advocates were tasked to identifying and document health rights violations within their sub-counties; mobilize communities to seek for health services, operate as an Alternative Dispute Resolution (ADR) mechanism within their communities and to serve as a health services monitoring tool. Since CEHURD does advocacy at the national level, evidence gathered by these advocates is an added advantage to the ongoing processes. The ever growing demand in health needs and the existence of inequities in resource allocation keeps calling for continuous energies in advocating for improved health care delivery right from the community levels. This therefore calls for persistence, dedication, and investment not only in energy but monies too if change is to be realized in the affirmative. CEHURD therefore expects to further support these advocates in terms of monitoring their work and also continuously develop their capacity for better implementation.